Originally called Ara Centauri, this constellation belonged to Chiron, the centaur, represented by Centaurus. For more on this creature, click here. 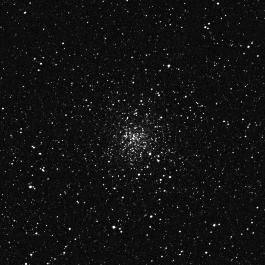 62k JPEG NGC6397 (Bennett 98, Caldwell 86) is a globular cluster located 2.9° north-east of Beta Arae. Described as bright (mag. 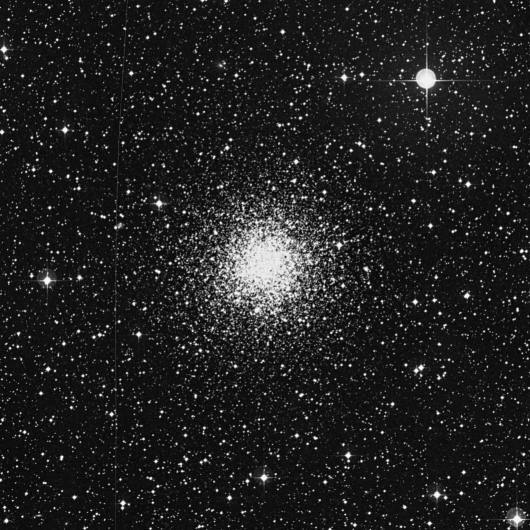 5.7), very large (26'), rich (but not especially so for a globular), it contains stars at mag. 10 and fainter. From the Digital Sky Survey. 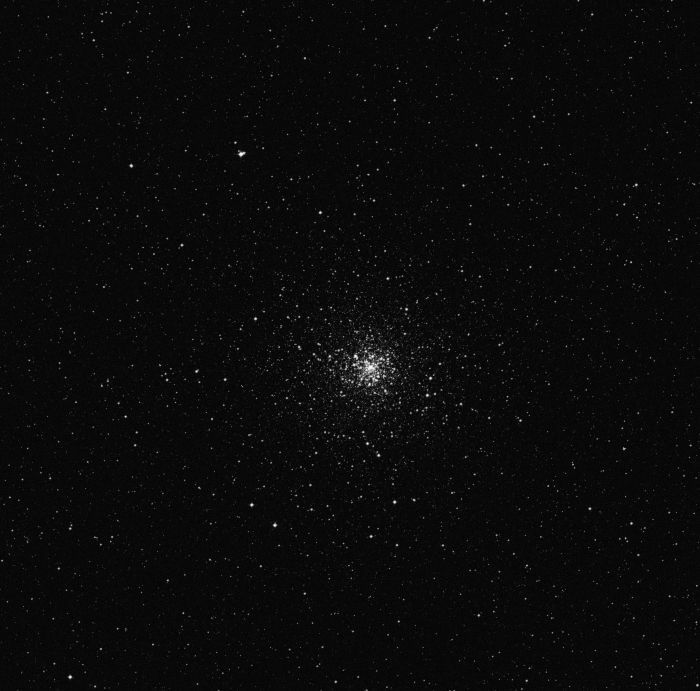 70k JPEG NGC6362 (Bennett 95) is a nice globular cluster located near the far southern border of Ara, 1.2° north-east of Zeta Apodis, and 2.7.° south-west of Eta Pavonis. Described as quite bright (mag. 8.1), large (10.7'), and very gradually much brighter middle, well resolved, with stars of magnitude 14 to 17. Other sources indicate stars of mag. 12.5 and fainter. From the Digital Sky Survey. The bright star in the upper, right (north-west) corner shines at mag. 6.9, and is cataloged as GSC 9065:3654, or HIP 85668. 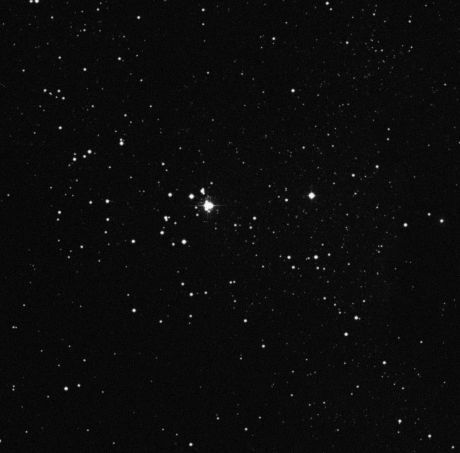 15k JPEG NGC6352 (Bennett 94, Caldwell 81) is an open cluster located 1.8° north-west of Alpha Arae. Described as fairly faint (mag. 8.2), and large (2'), it contains stars mag. 12 and fainter. From the Digital Sky Survey. 49k JPEG NGC6253 (Bennett 84) is a mag. 10 open cluster in western Ara described as small (5'), triangular, and containing (about 30) magnitude 13 stars. Epsilon-1 Arae lies 27' to the south. From the Digital Sky Survey. 21k JPEG NGC6193 (Caldwell 82) is a mag. 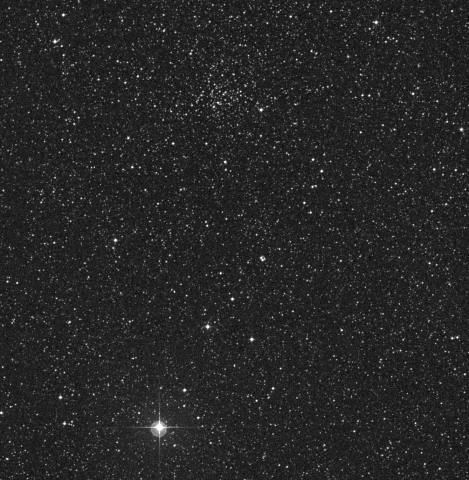 5.2 open cluster located 8.3° WNW of Alpha Arae, and 2.6° ESE of Epsilon Normae. Described as very large (15'), loose, and uncondensed, it contains about 30 stars mag. 6 and fainter. Dreyer mentions that a faint nebulosity is involved. From the Digital Sky Survey.